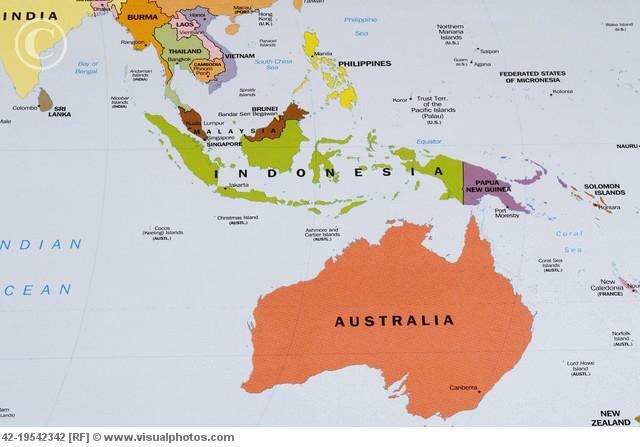 On the surface, Australia and Indonesia are as different as can be. 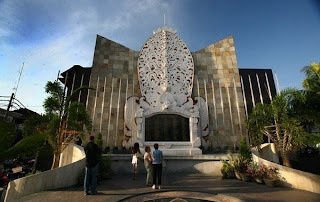 Indonesia has a large variety of South Asian cultures and ethnic groups, and is a Muslim country. Australia has a legacy of British colonization, and a decidedly Western perspective. One has a population 10 times that of the other. Yet both are democracies, and have shared interests in economic development, trade, and South Asian stability. So today we are watching the inauguration of a new Indonesian leader attended by a fairly new Australian prime minister. Good for them as they attempt to strengthen ties and trust, as there are also strains between the two countries. For Australia's part, Tony Abbott, Australia's Prime Minister has offered these words regarding Indonesia, "Australia wants the new president to succeed – because a strong, prospering, democratic Indonesia has so much to offer the world," ... "It has the world's largest Muslim population, it is the world's third largest democracy and, along with India, it's the emerging democratic superpower of Asia," he said. Abbott states that his foreign policy focus is regional; "more Jakarta, less Geneva" though Australia has once again sent military forces to Iraq to battle ISIS. 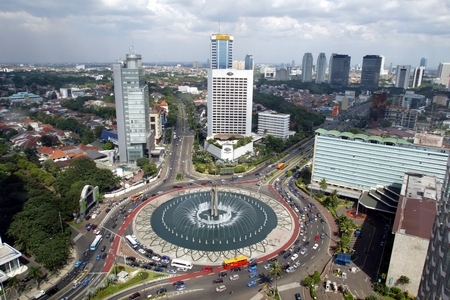 Indonesia's new President is Joko Widodo, former governor of Jakarta, the special capitol region of the nation. Known in Indonesia as Jokowi, he is only the 2nd directly-elected leader of this nation, and part of his popularity is from distancing himself from the old style of past leadership. He has maintained an active interaction with the Indonesian public, is an advocate for the marginalized, and more or less recognized as an authentic populist president with humble beginnings. Two Bali bombings - one in 2002 that killed 242 people and injuring 240 more, and the other in 2005 that killed 20 and injured over 100 - highlight Indonesia's challenge of extremist Islamist groups, and its tourist industry, of which Australians are a key component. Asylum seeking via boat from Indonesia to Australia is a current bone of contention. Australia has a rather strong detention policy for those who make it to Australian soil. 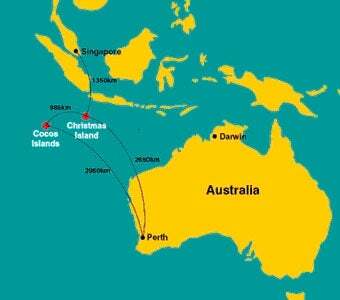 A major flashpoint for this activity is on Christmas Island - Australian territory close to Indonesia. So, there are the two nations - lots of differences, issues, but neighbors nonetheless, and democracies to boot, which implies a respect for citizens and responsive governments. Not a bad couple foundation bricks to build on.